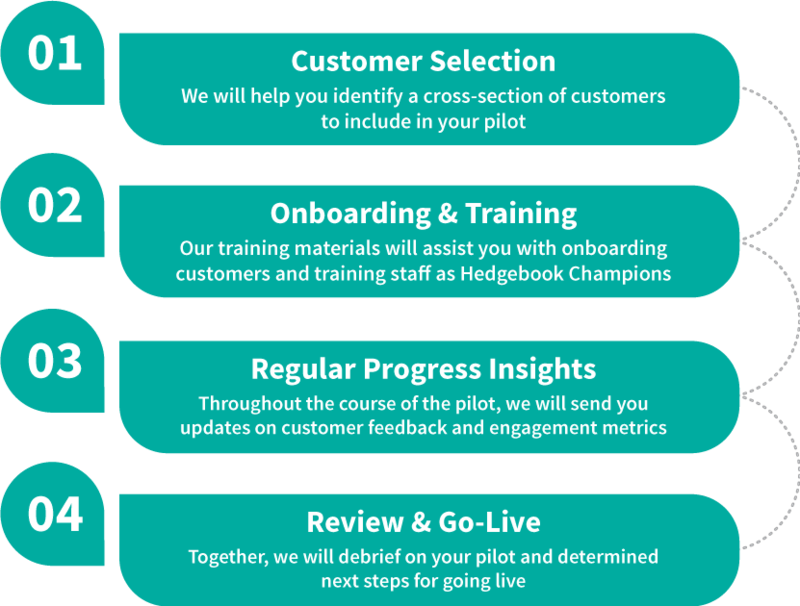 The Hedgebook Pilot allows you to test, validate and train a select group of staff and clients. To initiate your Hedgebook Pilot, simply enter your details on the form opposite. We will email you to arrange a time to speak and get you started. We will work with you to identify and onboard a cross-section of clients for the Pilot and support your team in becoming confident Hedgebook users. Throughout the Pilot, we will keep you updated with client feedback and engagement data, giving you an overview of key metrics. After the Pilot, we will hold a debrief to gain your feedback and determine the best solution for you and your clients.